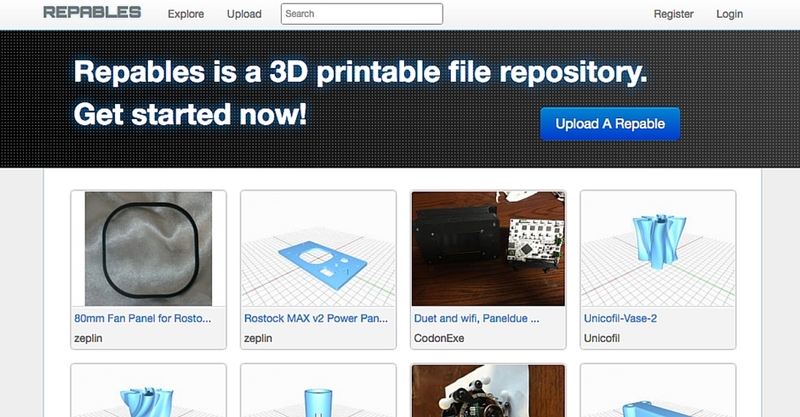 For those of you lucky enough to own a desktop 3D printer, there is no shortage of websites to download STL files from. Most of us probably get our 3D printing models from the market leaders, such as Thingiverse or YouMagine. There are however a large number of small STL file websites, with some very high quality 3D printing models. The problem is, these niche players can be difficult to find. Well I have compiled a comprehensive list of STL file websites, to try and put some of these lesser known places on the map. Take a quick look, I guarantee you’ll find some hidden gems. I can’t imagine there are many 3D printer owners who haven’t heard of Thingiverse. However, no list of STL file websites would be complete without this titan. 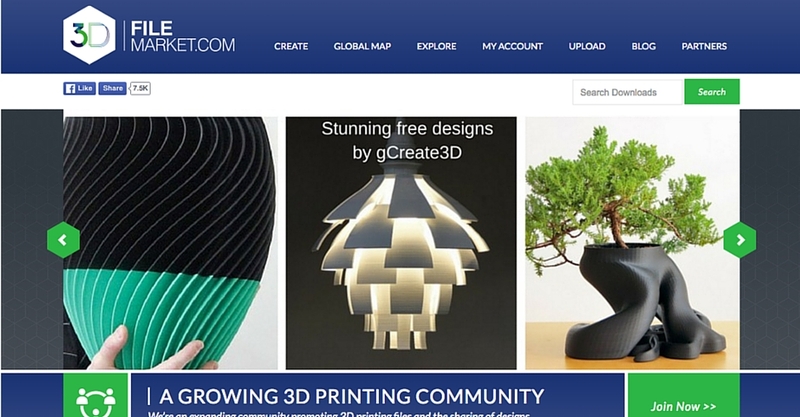 With over 2 million members, one million 3D printing models and 200 million downloads to date. This is probably already your go to place for free STL files. Another goliath in the STL file world. My Mini Factory has gone to the trouble of testing all of its 3D printing models. Given the cost of filament, it’s very useful knowing your print will be successful. It also has plenty of competitions with some pretty decent prizes. Flirting with closure this year, Pinshape is my favourite STL file website. The quality of its 3D printing models, just seems to be that bit higher. This may well be because designers can charge for their creations. Giving credence to the adage, “you get what you pay for”. 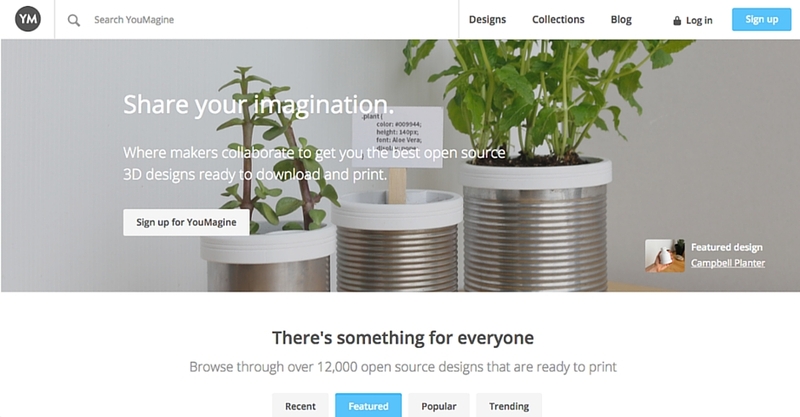 YouMagine is to Ultimaker what Thingiverse is to Makerbot. Far fewer STL files but far less rubbish too. You get the sense that people are actually printing these designs before uploading them. A shameless plug I know, but I had to put LayerTrove on the list. Are our 3D printing models any good? No. Our 3D printing models are frickin awesome! 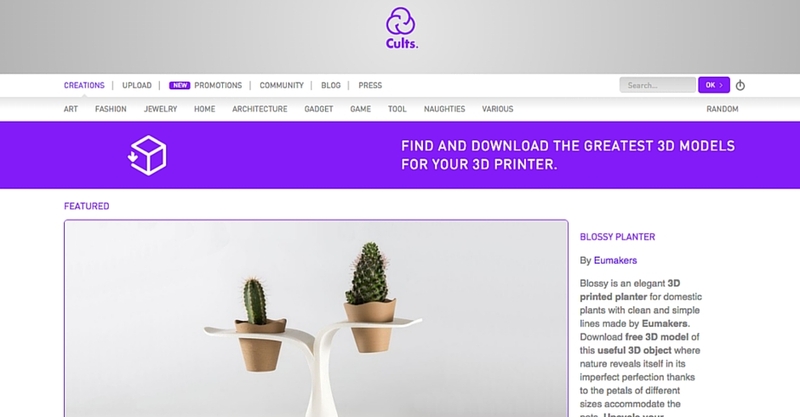 Professionally designed and optimised for desktop 3D printing. Good value too, when you consider the plastic you’ll save. My favourite of the underdogs, Cults3D has a nice little collection of STL files. Founded in France but written in English. A little bit like Daft Punk. 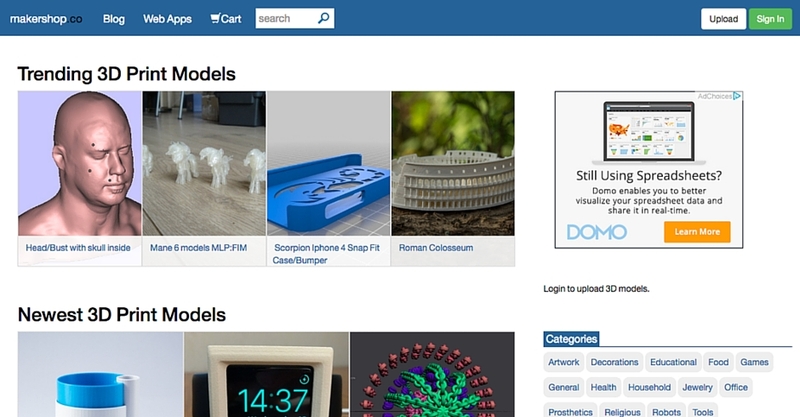 Most of its 3D printing models are free, and there are some excellent premium options too. I must confess, I am not actually a member of this STL file website. Although I do admire what they are trying to create. A large collection of tried and tested 3D printing models. Coupled with a Netflix style subscription setup. You can also buy models individually. Hats off to them, I hope they succeed. A fairly unassuming website which contains some hidden gems. If you are interested in the space program, then there are some great 3D printing models here for you. The Curiosity Rover is especially cool. 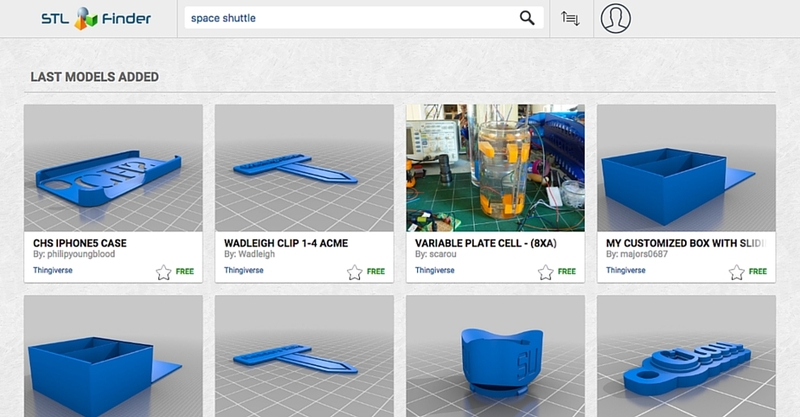 For some more NASA related 3D printing awesomeness, take a look at LayerTrove’s Space Exploration collection. 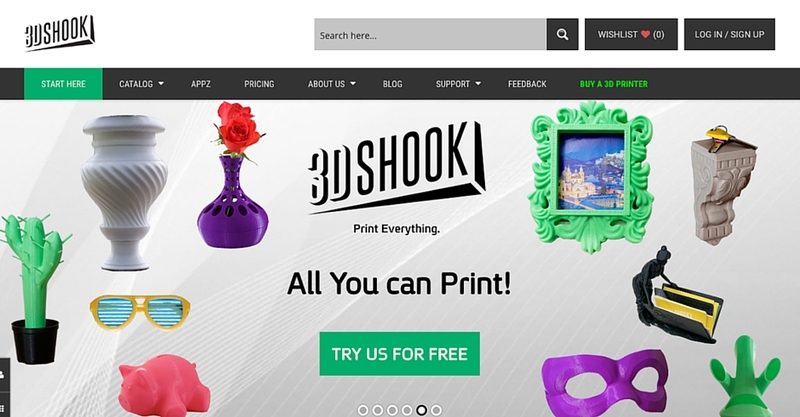 Another 3D printer company with a user created library of free 3D printing models. Actually some really great STL files here, and all presented in a user friendly way. Collaborations with Autodesk 123D and My Mini Factory have also strengthened its offering. Some very high quality 3D printing models, created especially for 3D printing here. This is a premium website, but effort has been put into optimising these STL files for printing. It’s worth you visiting just to see the detail of these organic models. Another in house offering from a desktop 3D printer company. A small collection of STL files but really fun and nicely curated. 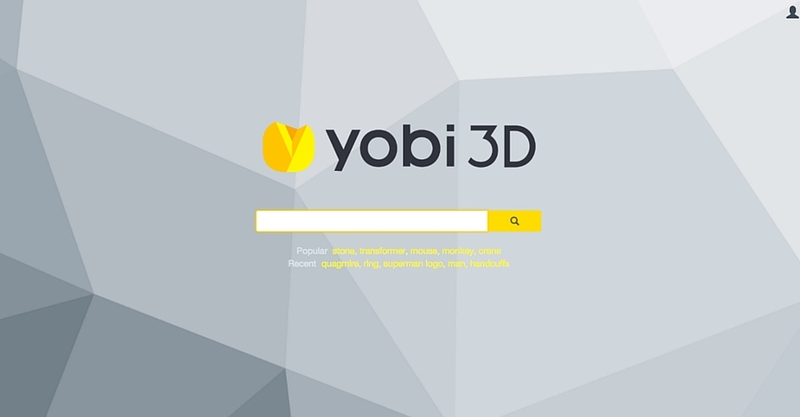 Go and take a look, you’ll definitely find some great 3D printing models. 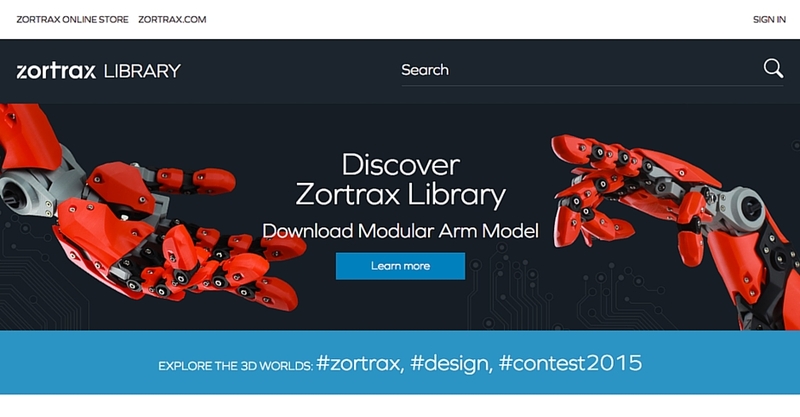 A 3D printing model library to complement Zortrax’s range of desktop 3D printers. Some excellent models here. Especially in the engineering category. Just take a look at the modular arm in the image above. Zortrax’s desktop 3D printers look very interesting too. 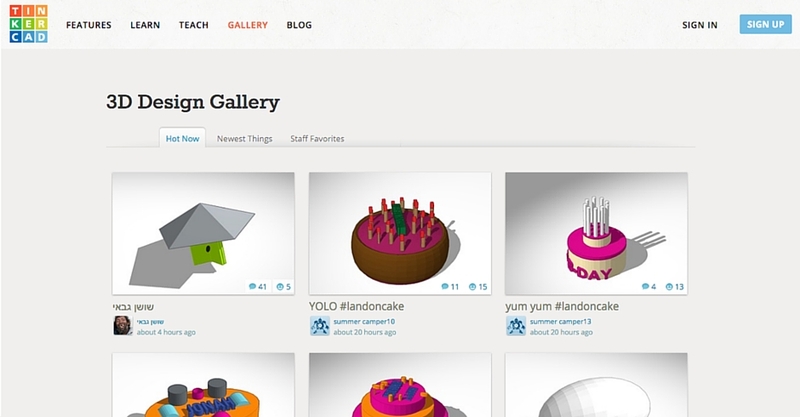 As you may be aware, TinkerCAD is an online 3D design app, used by a number of people with desktop 3D printers. It’s a really fun piece of software, and I highly recommend you give it a go. 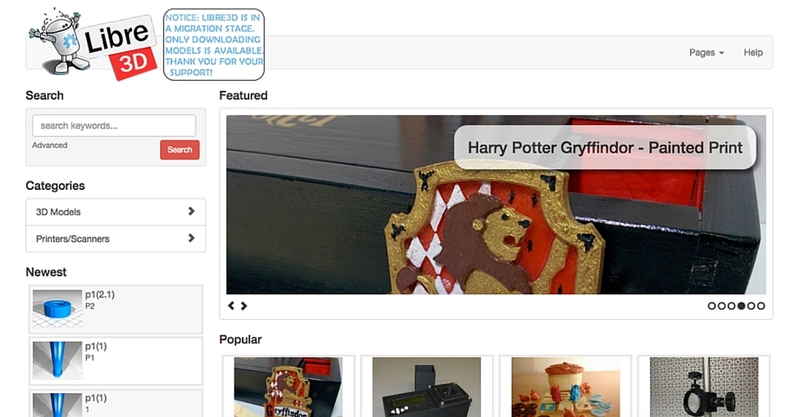 What makes it especially great, is you can add your creations to its online gallery, for anyone to download and print. 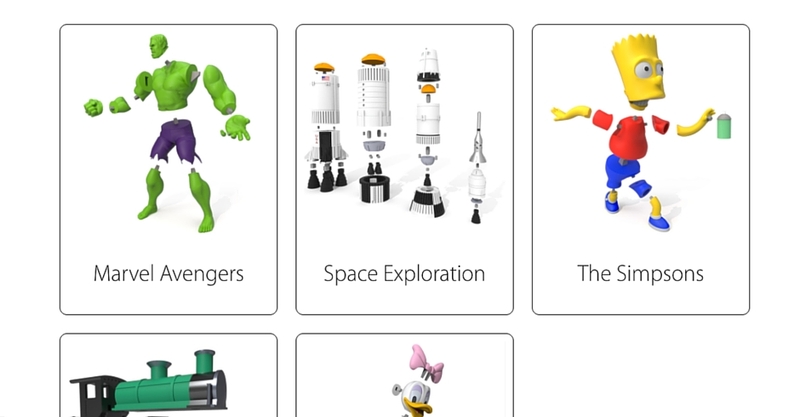 It’s gallery contains loads of fun 3D printing models, which are definitely worth looking at. Perhaps you might even design and add one of your own. A Pinshape style marketplace with free and premium content. The collection is pretty small but some reasonable 3D printing models are available. 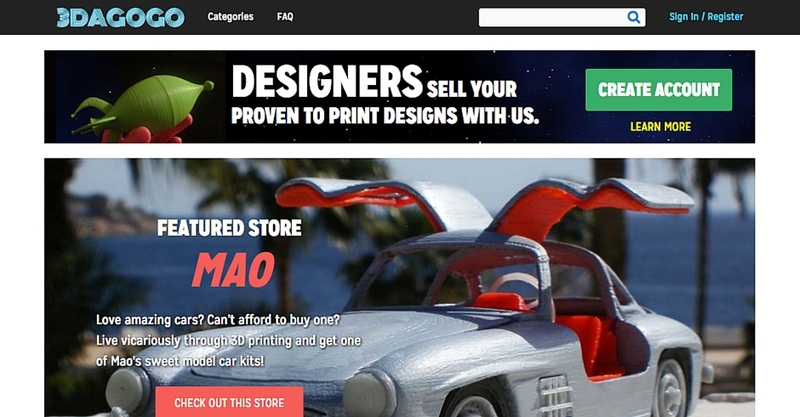 Interestingly, Threeding is looking for outside investment and the contact email is Shapeways. There must be some connection here. A niche player, focusing on proven to print STL files. Not the largest collection of 3D printing models but definitely worth a look. 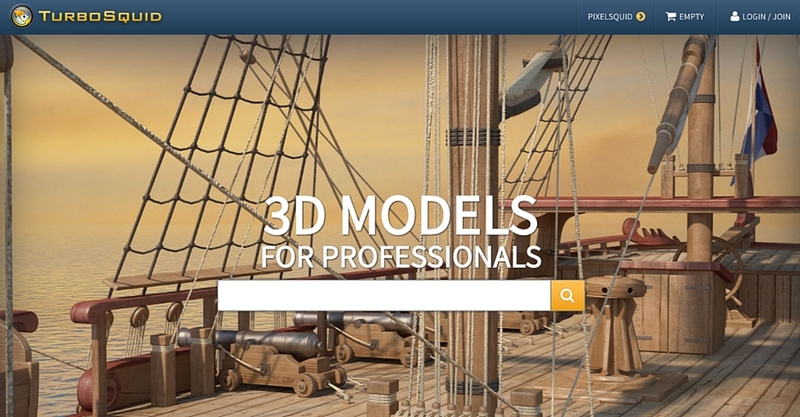 Primarily a website for 3D renders, CGTrader now has a 3D printing models section. This houses a fairly large collection of STL files, many of which are free. 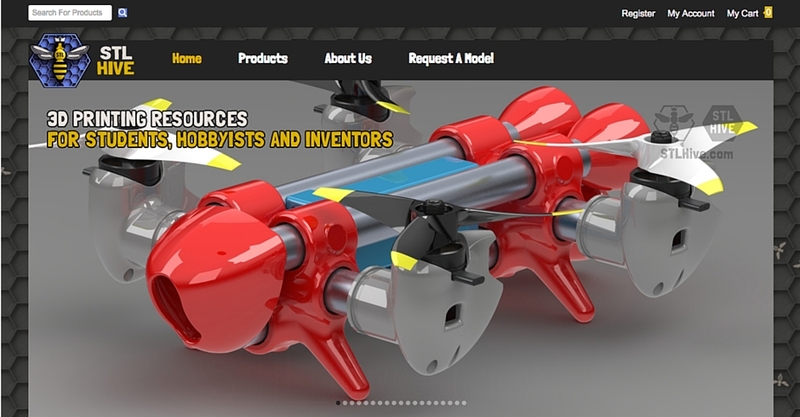 There are some reasonable models, and 3D printing legend Daniel Noree even has a profile here. I suspect many of the models are just 3D renders converted to STL format however. 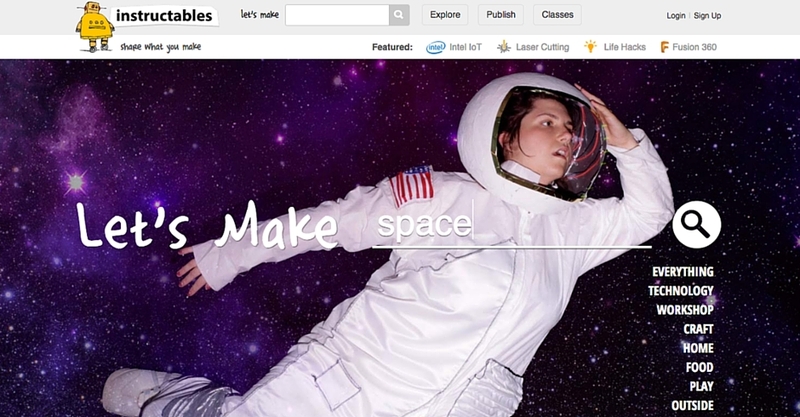 Instructables is a place for people to share their weird and wonderful creations. With over 100,000 projects, and instructions on how to make them all. This really is a Mecca for makers. Most of the projects are not 3D printing models, however there is a growing collection of STL files. It’s also an excellent place for some inspiration. 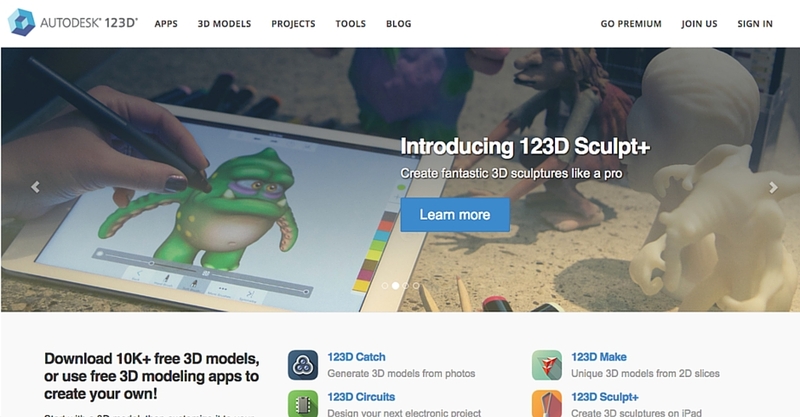 AutoDesk 123D is a suite of apps giving you the power to design, create and share. 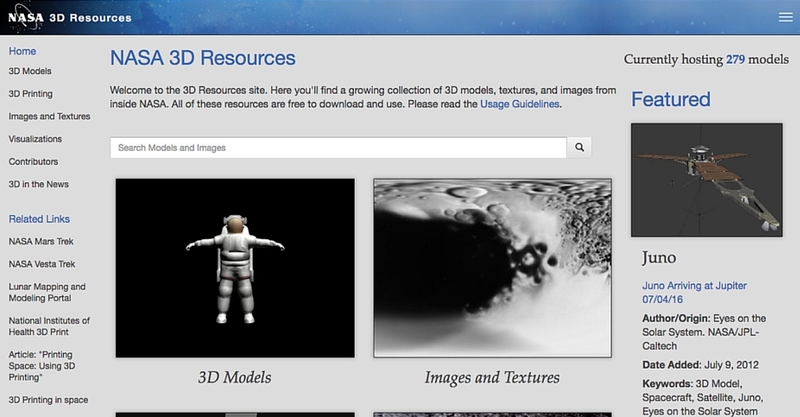 It has a large library of 3D models in STL file format. Most of these I wouldn’t class as 3D printing models but there are some hidden gems. 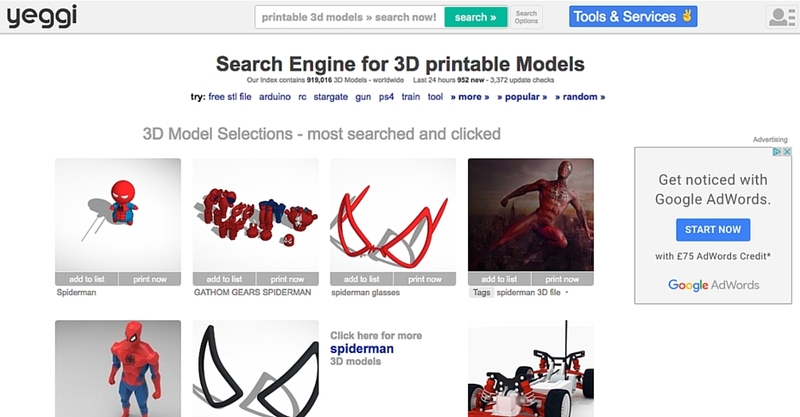 Not a traditional STL file website but a 3D printing model search engine. The first and the biggest with over 750,000 unique visitors per month. Gives you an idea of how popular 3D printing is becoming! Not the prettiest user interface, but a convenient way for you to find great 3D printing models. 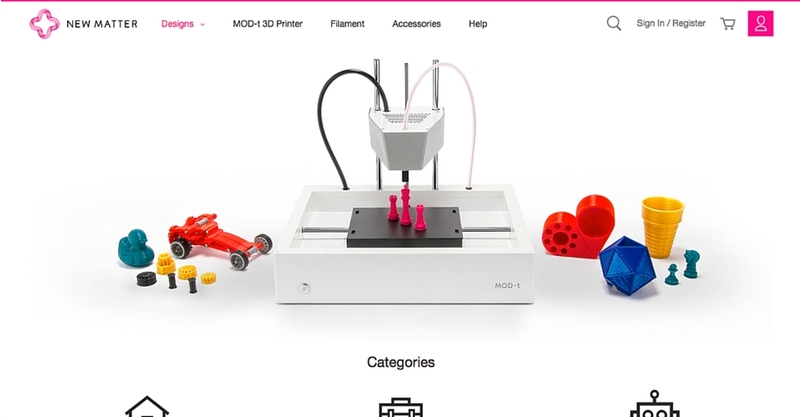 Another website with professionally created 3D printing models, designed for desktop 3D printers. This time exclusively by Jim Rodda, the man who brought you the Seej tabletop war game. All of the STL files are free but you can show Jim your appreciation by making a contribution. 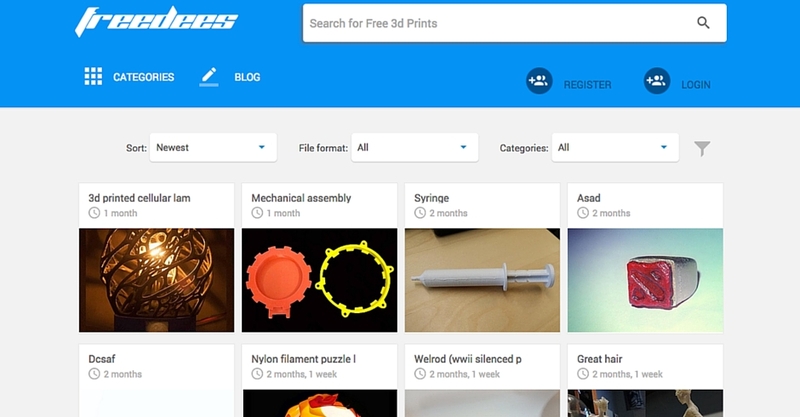 Freedees has a large collection of free 3D printing models, and also a nice blog. The website is well laid out and really nice to use. There are also some great STL files here too. My only concern was the dummy text on its about page. Must be a work in progress. 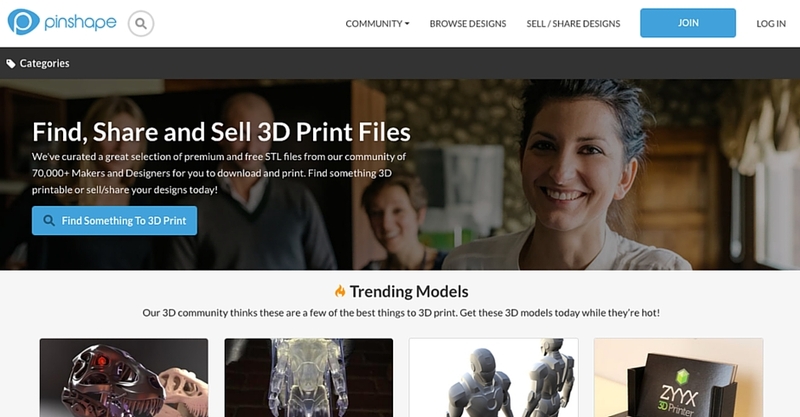 Owned by Stratasys, the parent company of Thingiverse, GrabCad is a free library with over 1.4 million CAD files. 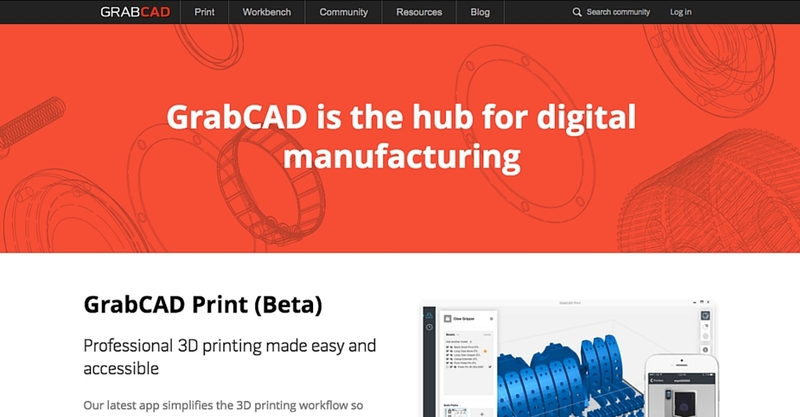 There is some new GrabCad print software in Beta, which is a strong signal it wants to do more in this space. The search bar has a 3D printing model category, and there are some pretty cool STL files to be found. 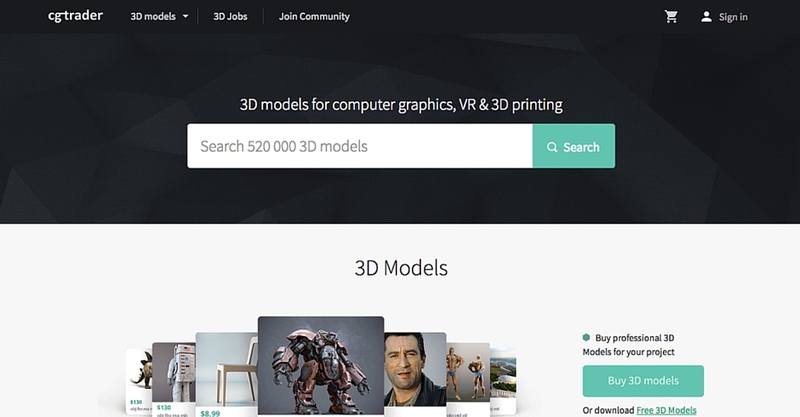 Another 3D printing model search engine. Nowhere near as big as Yeggi, but a nicer user interface. Based in Texas, Redpah is another STL file marketplace. It has a mixture of free and premium 3D printing models. Some nice original content here too. The website has a simple and clear layout, making the search for your next print that bit easier. Trinpy has made a real effort to focus on STL files that will actually print. This is a breath of fresh air in a largely unchecked market. Think of how much filament has been wasted on failed prints! I especially like its monster truck 3D printing model. 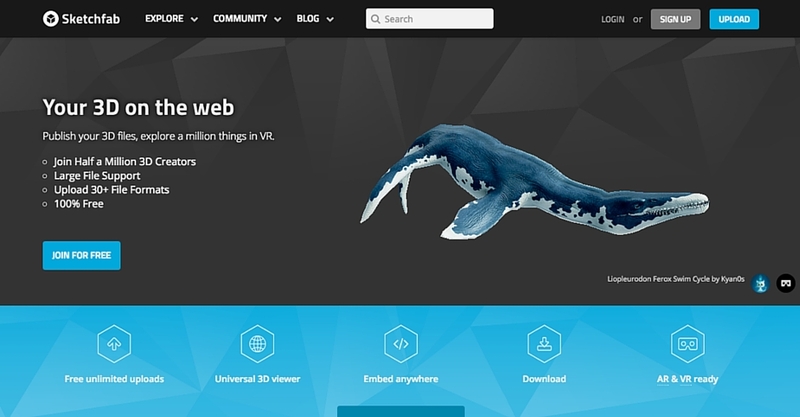 Really a website for 3D renders, Sketchfab does have a 3D printing models section. Some nice looking STL files but most do not look suitable for desktop 3D printing. A nice place for getting ideas though. 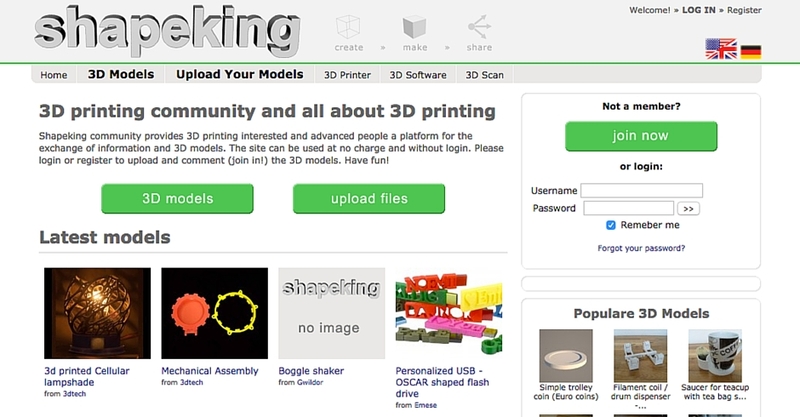 Not an STL file website but a 3D printing model search engine. Looks and feels a lot like Google. Which is nice and familiar. It has a great 3D viewer, enabling you to examine each model without going to the host website. 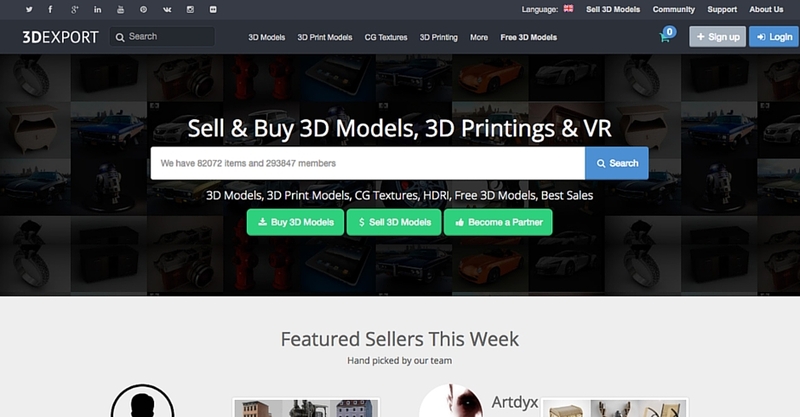 Founded in 2004, 3DExport is a marketplace for buying and selling 3D models. 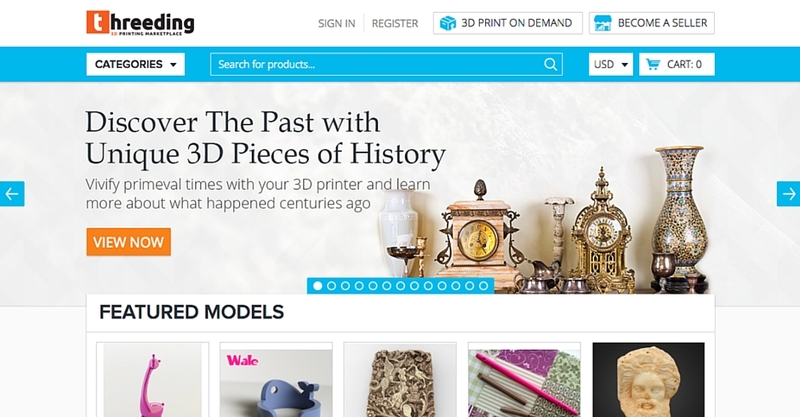 Like many of these websites, it has branched out into 3D printing models. 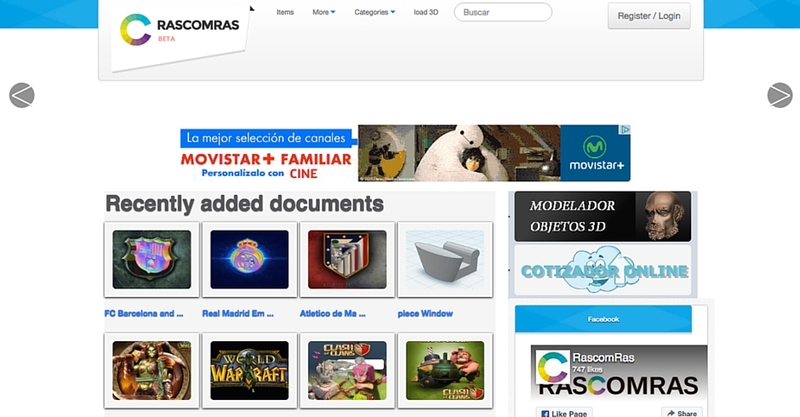 There is a 3D printing models area of the website and you can search for STL files. Most of the models seem to be jewellery, which isn’t ideal for desktop 3D printing. But there are some 3D printable things available. 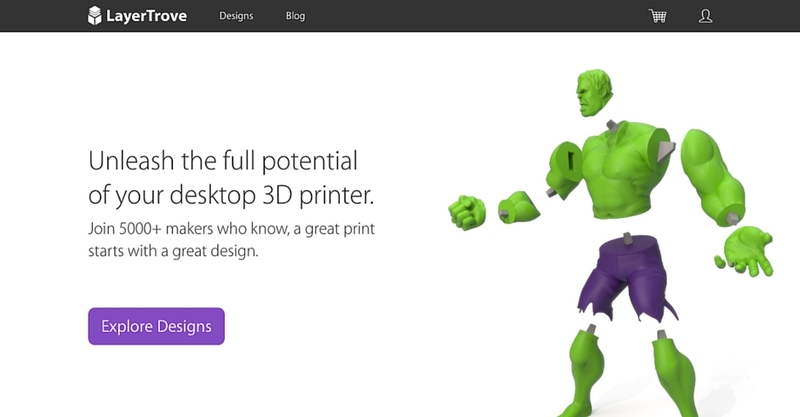 STL Hive focuses on professionally created 3D printing models, specifically designed for desktop 3D printing. Most of the STL files are premium and there is a radio controlled theme on this website. The quantity of models is low but the quality is high. If you are interested in RC stuff, then STL Hive is worth a look. RepRap founder Adrian Bowyer sits on the board of this STL file website. Adhering to all the principals of open source, Libre 3D feels a lot like a small Thingiverse. Not the largest collection of 3D printing models but with Adrian’s guidance, I am sure it will grow quickly. 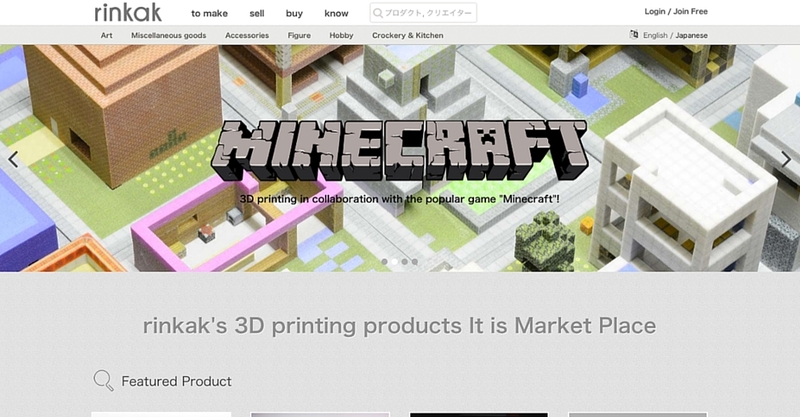 Japan based but with an English version of the website, Rinkak focuses on premium 3D printing models. Some pretty cool STL files but nothing you won’t find on Pinshape. Still in Beta, Rascomras has a small collection of STL files. This is one largely for the Spanish speaking market. Not many original 3D printing models here, and the user interface needs work. Repables is a very simple and clean STL file repository. There are over 500 3D printing models here, however they aren’t even grouped into categories. You can use the search bar, or just filter through until you see something interesting. Very basic but actually quite nice to look around. 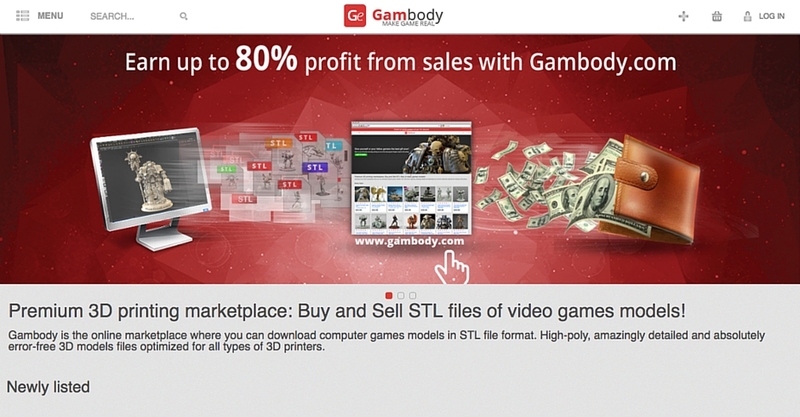 TurboSquid is really about 3D models for game developers and visual effects studios, rather than 3D printing models. You can however search for “printing” and sort by STL files. The results will show some models suitable for 3D printing. 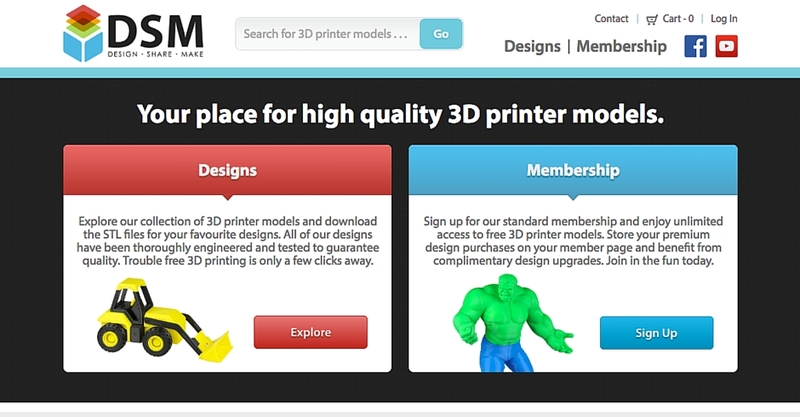 Despite being a premium website, a number of the 3D printing models are free too. 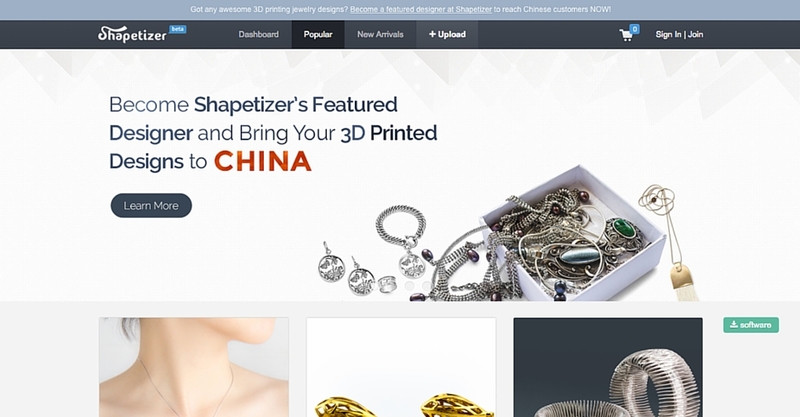 Still in Beta, Shapetizer is targeting the Chinese 3D printing market. It also seems to have a focus on jewellery, something which doesn’t work particularly well with desktop 3D printers. There are some 3D printing models out with this niche however, including some toy guns. Tut-tut! 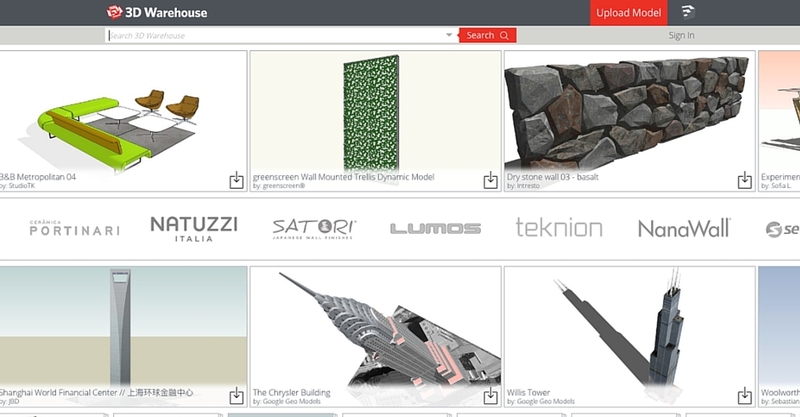 Containing millions of models created in SketchUp, 3D Warehouse does have an architecture theme going on. You can sort by 3D printing models in its advanced search, but I struggled to find anything interesting. Perhaps you can find STL files worth printing here. 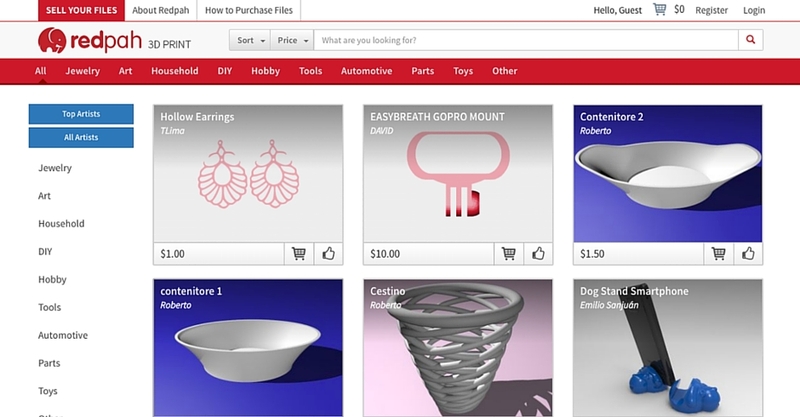 Similar to My Mini Factory, 3D File Market verifies that its STL files will actually print. My Mini Factory actually completes a test print, whereas 3D File Market just insists on photographic proof. The website is very slow to load. It probably needs a host upgrade. If you are patient though, there are some nice STL files here. MakerShop does focus on 3D printing models, and there are enough STL files here to warrant a look around. Plenty to choose from but nothing I haven’t seen on Thingiverse. Not the prettiest user interface and a fairly small quantity of STL files. 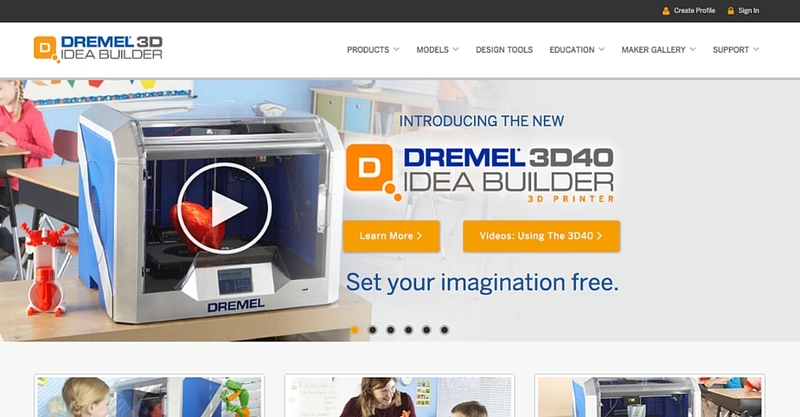 Some good resources though with regards to 3D printers, 3D scanners and 3D software. 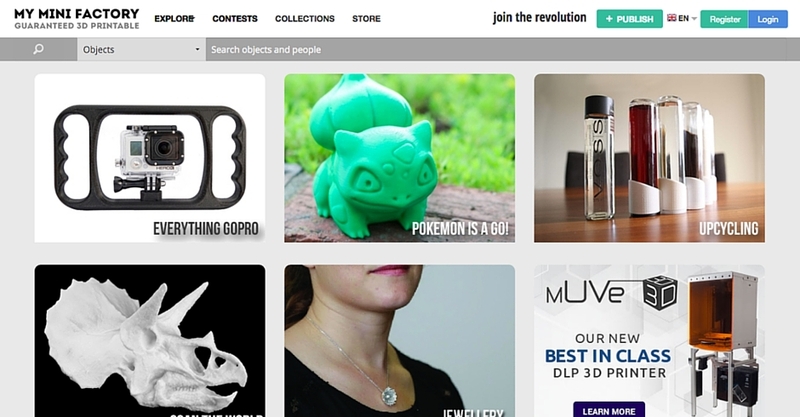 LayerTrove’s sister website, has over 50 free STL files all carefully optimised for desktop 3D printing. In addition to this, there is a collection of premium 3D printing models all developed by professional 3D artists. We are in the process of migrating everything over to LayerTrove, but the website is still live, so I thought it was worth a mention. 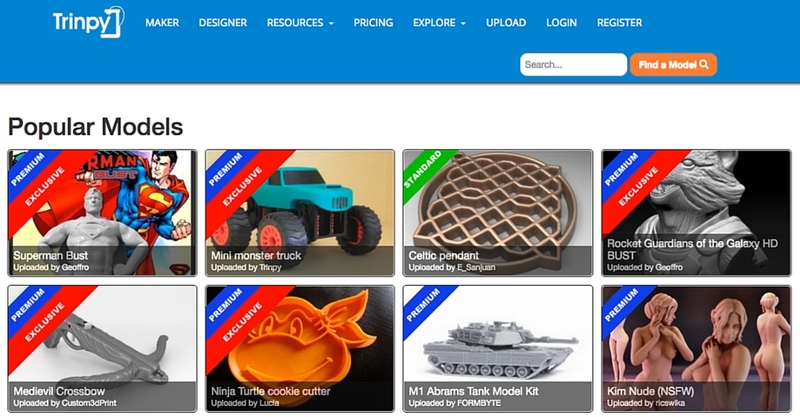 As you can see, there is no shortage of STL file websites to get your 3D printing models from. 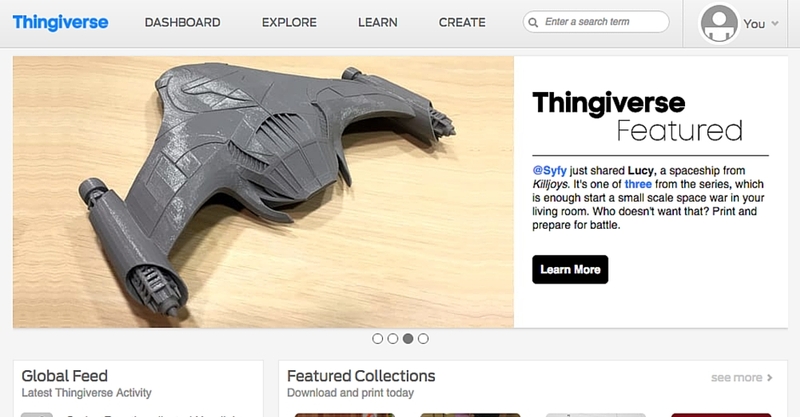 The most well known places, such as Thingiverse, are of course excellent websites to visit. Some of these niche players though, have so much to offer, and are definitely worth a visit. Your exploration will be rewarded with some unique and awesome 3D printing models. Are there any STL file websites you think should be on my list? No problem Shane. Nice website.